During the Fanfest 2015 keynote address on March 19, EVE Online Executive Producer CCP Seagull said, “We’ve been working on a new approach for how to introduce new players to EVE. It’s a system that we call ‘Opportunities’, that lets you explore what is possible in EVE in a much more free-form and action-based way.” (Watch it here.) Since February, CCP Games has been testing the Opportunities system with half of all new players trying the game (read the dev blog here). “We’ve replaced 78 Aura tutorial steps and about 6,500 words, with just these seven Opportunities and about 1,000 words,” CCP Seagull explained, “and we now have conclusive data from that test. This [small] set of Opportunities is doing better… at getting people to become subscribers”, compared to those who are not being exposed to the new system. CCP’s developers are careful not to provide exact figures on the incremental improvement in subscriber rates seen from the initial testing of the Opportunities system, but they do say it is substantial enough to warrant further investment and expansion. 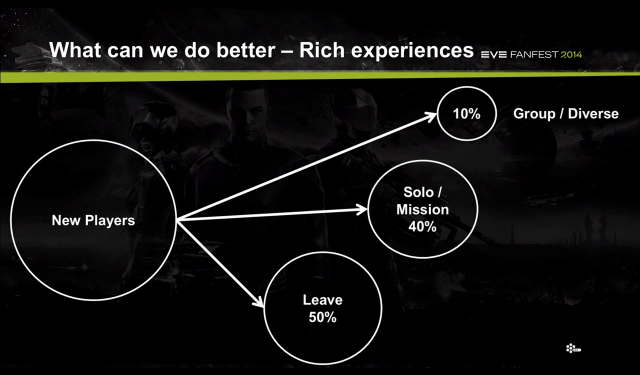 Based on CCP Rise’s presentation at Fanfest 2014, half of new players were dropping out after less than a month of play. Even a small increase in new player retention rates represents millions of dollars in additional revenue for CCP Games. 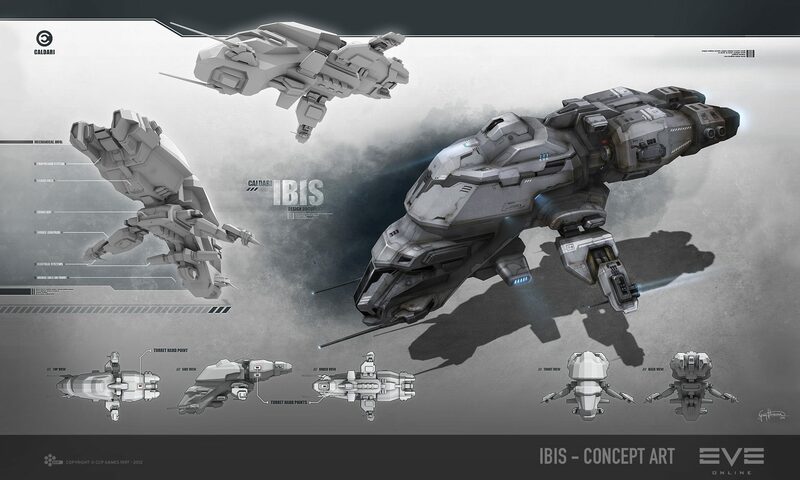 Based on the initial success of early tests, CCP has added new Opportunities to the new player experience—covering the Map & Navigation, the Market, Chat & Corporations and Fittings—although these additions are still limited only to the half of new players being exposed to the Opportunities system. 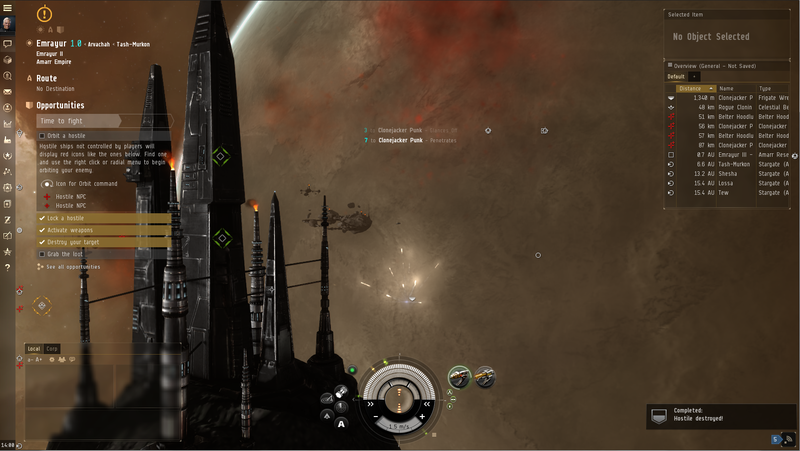 “If we see the same kinds of signals from this test,” CCP Seagull said, “we expect to roll out Opportunities to all new players in the coming months [of 2015].” The Opportunities system introduces aspects of EVE Online in an unbounded, on-demand manner—rather than “force feeding” lessons in a linear, rewards-focused process of the current tutorial structure. Inspired by games such as “Don’t Starve”, which uses an open-ended motivation system to introduce aspects of that game in the context of the player’s changing situation, the Opportunities system gets players engaged immediately in doing something, rather than first reading extensively about it. Improving the new player experience is the responsibility of CCP’s Team Pirate Unicorns, and the Opportunities system is just one of the enhancements they have developed to help new players overcome the notoriously steep EVE Online learning curve. 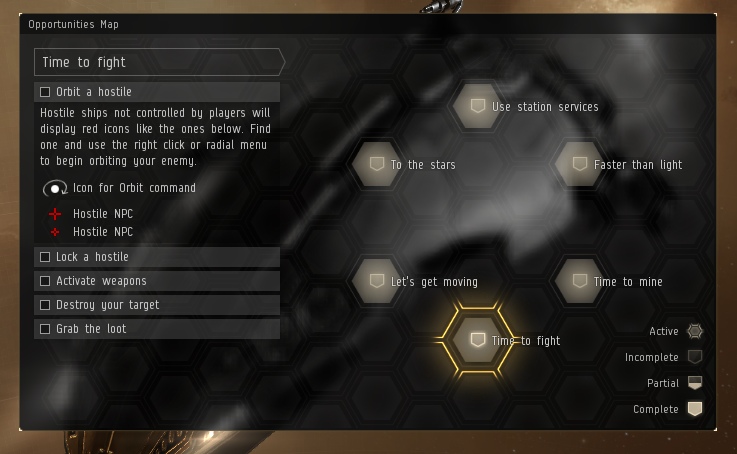 They have also revamped pop-up tooltips with context-sensitive help text, incorporated an improved game notifications system, overhauled the star map, added new player landmark sites in starter systems, and made dozens of small changes—such as starting a new player in a ship in space, instead of in a station—all designed to make it easier for new players to understand and enjoy their initial involvement with EVE. The potential of the Opportunity system is far from being fully realized. During the panel discussion, the value of using Opportunities to provide a clear path to other options of game play in EVE, even for veteran players, was discussed. Making it easier to get involved in Factional Warfare, for example, through an Opportunity structure might help more players to try player-versus-player combat. Enhancing the new player experience is not the exclusive domain of Team Pirate Unicorns—it is something that is also foremost in the minds of other CCP development teams as well. During the keynote address, CCP Seagull described the new download-on-demand feature developed by Team RnB, and the value it provides to new players, by reducing the time they can start playing EVE from more than an hour to less than five minutes. She also pointed out the value of the player community in helping to retain the influx of new players stimulated from the successful “This is EVE” video. The new player experience, while important, is only part of the formula for improving player retention in EVE Online—a result that all of CCP Games is striving to optimize. Neville Smit, a former director of education for EVE University, is now a non-violent space hippie in the Signal Cartel, living in wormhole space and making a meager living as an explorer. He has been trying to learn how to play EVE Online since 2009. You can read more about his misadventures in New Eden at NevilleSmit.com or on Twitter @NevilleSmit.